If you notice cracks in your basement walls, slab floor cracks, mold and mildew smells, water stains, or your walls are leaning in or out then you have a water problem. 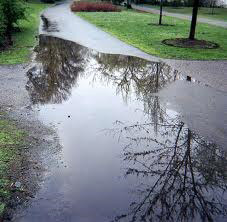 Water in the yard can lead to water inside the home as it is transferred from the outside of a building structure to the interior using the path of least resistance. Meaning, water will find the cracks within a foundation or absorb through a porous concrete. 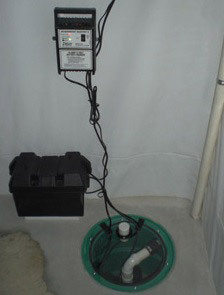 Stopping the water from collecting from around a home or business can be done with our exterior waterproofing systems. In the Midwest, a spring storm easily bring more water than your basement can handle. This can cause serious structural and health problems. United Structural Systems, Inc. in Chicago and Hoffman Estates, IL can help by offering an exterior drainage system. If you have water in your yard, United Structural Systems, Inc. offer their exterior drainage systems to protect your basement and crawlspaces from unwanted damage. The system can be installed quickly and effectively while meeting the stringent Chicago Building Department codes. Our exterior drainage systems include French drains, building runoff collection, and sump pumps. United Structural Systems, Inc. uses pipes to divert the water away from your home in a safe, effective manner. Our water management systems and techniques are highly recognized across Chicago as being complete solutions to water problems, and our staff is expertly trained to help design a solution to your specific needs. Have peace of mind, call United Structural Systems of Illinois, Inc. at 847-607-1202 or contact us online for a exterior drainage inspection in the Chicago and/or Hoffman Estates area. Talk to the recognized leader in exterior drainage systems. United Structural Systems provides safe, effective, and affordable options to your exterior water problems.